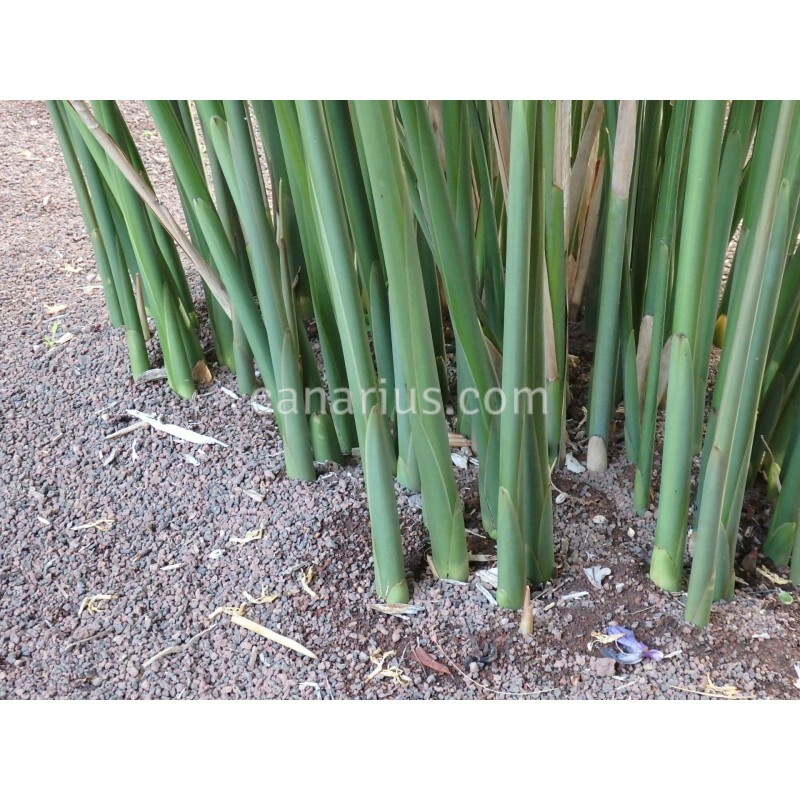 Greater galangal or Blue Ginger is a herb used in cooking in SE Asia, and also medicinally. 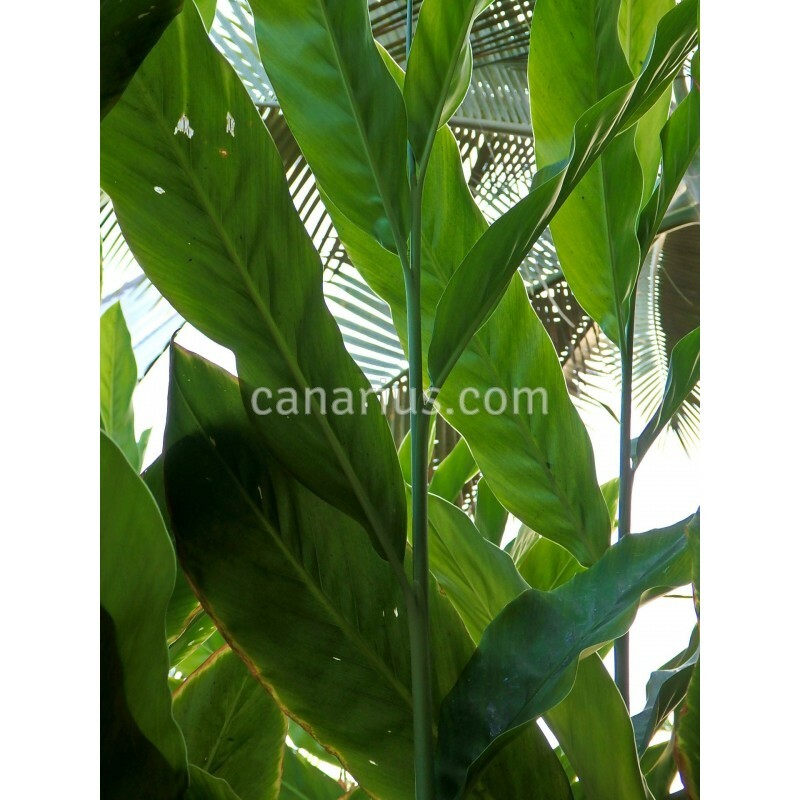 It grows as a tight clump of lush, upright dark-green leaves. 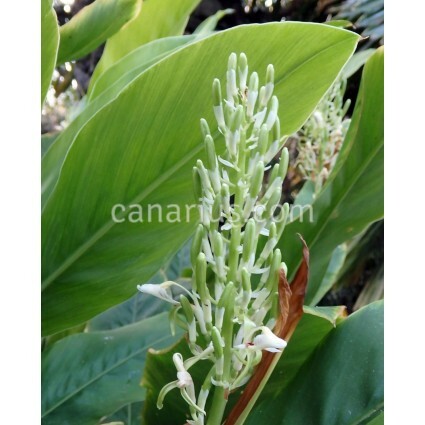 Upright inflorescences of small white flowers are produced throughout the warmer months. They are a nice addition to this "ornamental herb", while they are rather insignificant if compared to other ornamental Alpinias. The rhizome are used for a number of recipes and they contain an oil, known as galangol, which upon fractional distillation produces medicinal oils like cineol, pinene and eugenol. 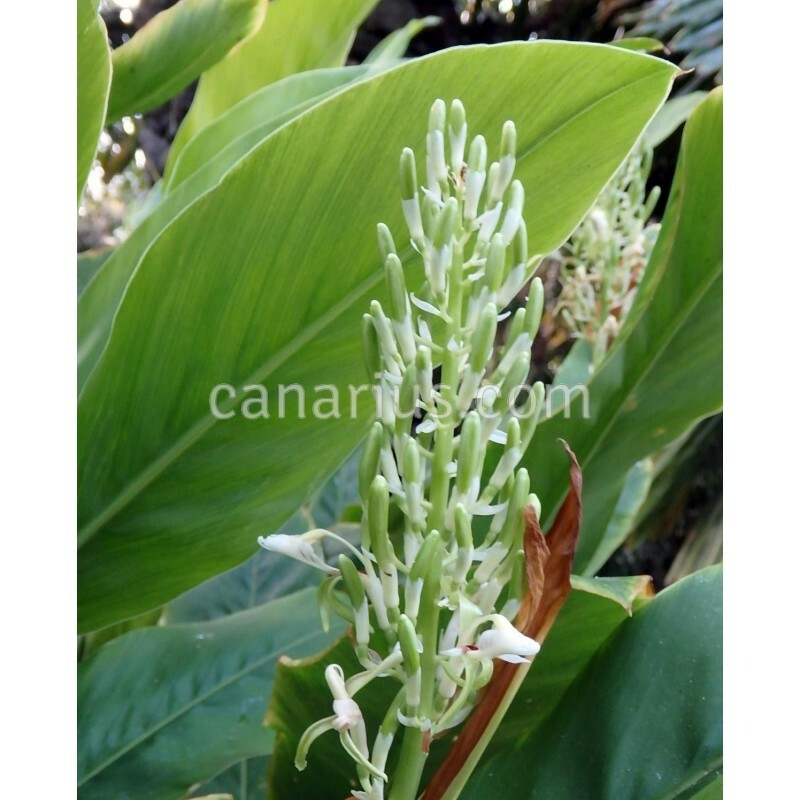 Alpinia galanga can grow outdoors in warm mediterranean conditions as it takes some cold and it will not be bothered by short, light frosts. Nevertheless, a temperature above 5 C is recommended for optimal winter rest.